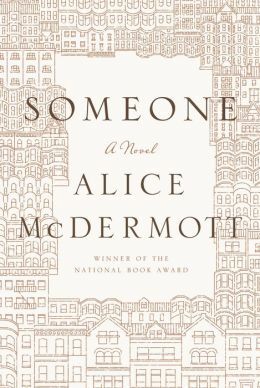 With a calm insistence, Alice McDermott penetrates the everyday life of an ordinary woman, and quietly connects her struggles and successes to our own in her novel Someone. As McDermott unravels Marie’s life in Brooklyn with her parents and brother, the narrative follows a steady timeline, yet jumps to the future and back in a stream of life changing incidents that seem inconsequential until McDermott brings them all together in a beautiful mosaic. The narrative can be disconcerting and hard to follow, at first. Marie is telling the story as an old woman, but this is not immediately apparent. Each chapter begins another incident in Marie’s life – not always in chronological order – the seven year old describing a funeral is followed by a pregnant Marie fainting in a deli, then her grown daughter taking her for cataract surgery, followed by the chapter flipping back to describe her first meeting with her husband. At one point, I stopped to begin the book again, feeling lost and realizing I had missed some significance in the first reading – until I grasped the fragments of the examined life that McDermott was laying out. As the narrator, Marie is a keen observer of life – from the opening when, as a seven-year old she notices Pegeen’s ripped stockings before she falls down the stairs, to admiring her sensitive brother’s quiet unease, long before he grows up to leave the priesthood. McDermott offers joy and sympathy in this slim book, with insights into an ordinary life that is unique, yet offers some comfort in the familiar. Nothing remarkable happens to Marie, yet her life resonated with me, and I looked forward to each episode as McDermott quietly told her story. This entry was posted in authors, book review, books and tagged Alice McDermott, Book, Brooklyn, Charming Billy, everyday life, family relationships, Fiction, Grace, Marie, McDermott, Someone. Bookmark the permalink.